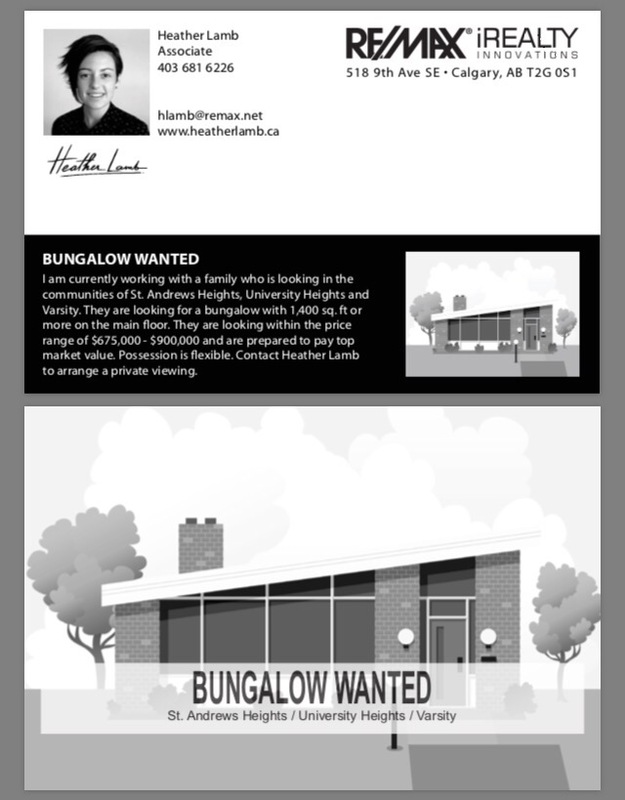 I am currently working with a family who is looking in the communities of St. Andrews Heights, University Heights and Varsity. They are looking for a bungalow with 1,400 sq. ft or more on the main floor. They are looking within the price range of $675,000-$900,000 and are prepared to pay top market value. Possession is flexible. Contact Heather Lamb to arrange a private viewing.